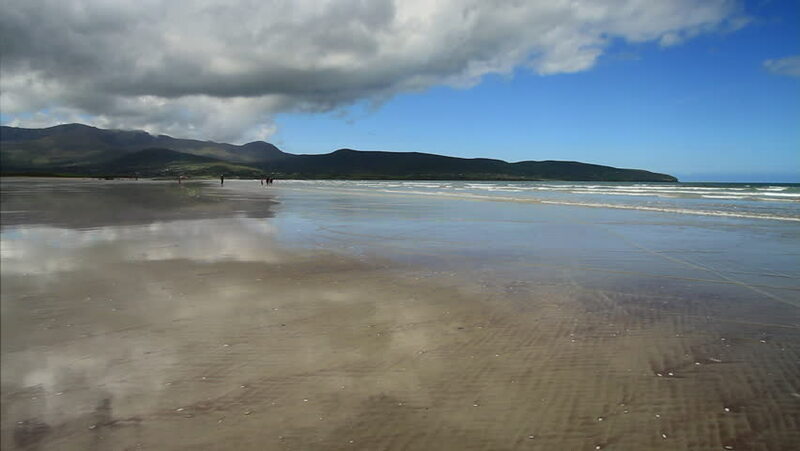 Shot of waves and the striated patterns this beach is famous for at Fermoyle Strand on the West Coast of Ireland. 4k00:16A woman walks on a wet sandy beach at low tide on an autumn evening. 4k00:28Aerial view of a beautiful beach on a tropical weather. hd00:30KOH SAMUI, THAILAND - JULY 30: Timelapse view at the ocean from Chaweng Beach on July 30, 2013 in Koh Samui, Thailand. People are walking and swiming. Beach most popular beach on the Gulf of Thailand.